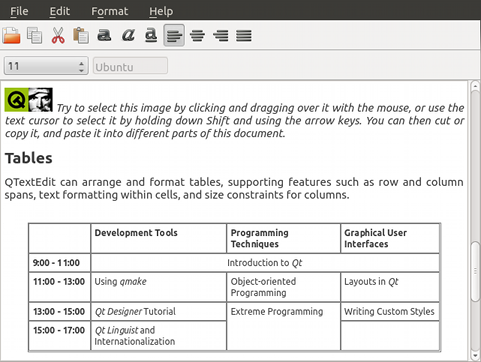 The Text Editor Example presents a sample HTML file using the TextArea control, preserving the HTML formatting. It uses a C++ class to handle the document by providing options to open, format, and edit. The app also lets you open and edit a plain text files. The C++ class, DocumentHandler, extends QObject and is registered as a QML type under the namespace, "org.qtproject.example 1.0".